Danger hides in the stars! This is the world of Jason of Star Command. A space-age soldier of fortune determined to stop the most sinister force in the universe: Dragos, master of the cosmos. Aiding Jason in his battle against evil is a talented team of experts, all working together in a secret section of Space Academy. Jason of Star Command! 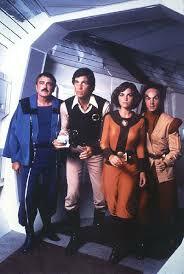 Jason of Star Command is a CBS Saturday morning children’s sci-fi series that aired in the 1978 and 1979 TV seasons. 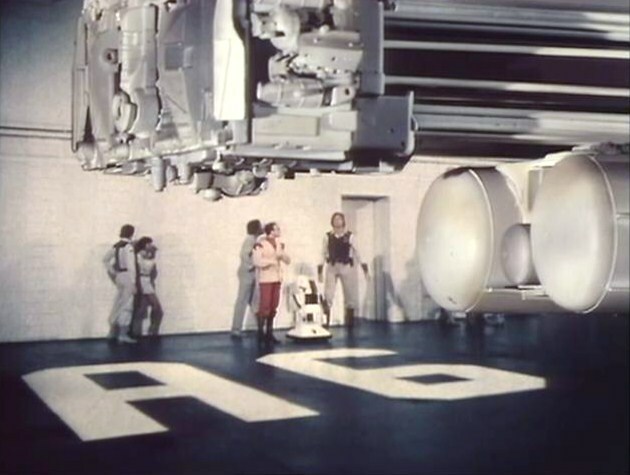 The show is a spin-off of 1977’s short-lived Space Academy, which was often referred to in the series, and used many of the same sets and props. The first season aired as a 15-minute segment as part of Tarzan and the Super Seven from 10:30 a.m. to 12 Noon, followed by reruns of Space Academy. For season two, Jason of Star Command was expanded to a full 30 minutes and got its own spot at 12 Noon. Both seasons aired first-run episodes in the fall and in reruns beginning in January, similar to Space Academy’s run. The complete series is available below. For more information on Space Academy please visit the Aeolus13 Umbra article. Even though Jason of Star Command takes place “in a secret section of Space Academy,” none of the regular Space Academy cast makes an appearance nor are they or the events in the series mentioned. Peepo the robot turns up for six episodes in season two and Lt. Matt Prentiss (John Berwick), who appeared in the Space Academy episode, "The Cheat," turns up in the Jason of Star Command episode “The Disappearing Man,” and that is pretty much it. 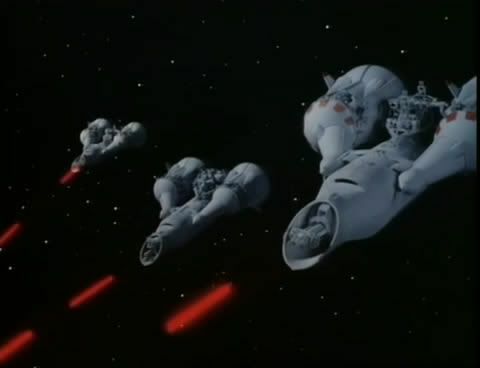 It was a lost opportunity to exploit the popularity of Space Academy which was still being shown in reruns at the time. In the starring role of Jason is Craig Littler, who was active from the 1960s to the 1990s mainly in guest starring and supporting roles on TV, and for whom Jason of Star Command seems to be his only lead in a series. Jason occasionally demonstrates feats of strength, though not much about this ability is explored. Jonathan Harris was to continue his role as Commander Gampu from Space Academy, but was unable to come to terms with Filmation over his contract. James Doohan, Lt. Commander Scott on Star Trek: The Original Series, stepped in as Commander Canarvin, but really isn’t given much to do and comes across as a bit bland when compared to the scene-crewing Sid Haig or the very earnest Craig Littler. 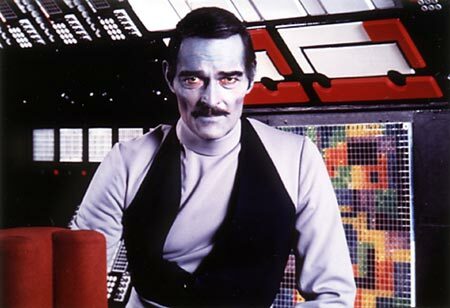 Doohan left the series in 1978 to film Star Trek: The Motion Picture and was replaced in season two by John Russell, more noted for his Western roles (including Clint Eastwood’s 1985 film Pale Rider) as the blue-skinned alien Commander Stone. Character actor Sid Haig, who appeared in many popular TV and film projects starting in the 1960s (including THX 1138), appears as the malevolently persistent evil space lord Dragos. Other cast members include Charlie Dell as the wonderfully eccentric Professor E.J. Parsafoot. Dell pretty much steals most scenes he appears in. His quirky, yet empathetic, performance as Prof. Parsafoot makes him a fan favorite. Dell still turns up from time-to-time, but has spent the majority of his career in small character roles. Season one included Susan Pratt as Captain Nicole Davidoff. 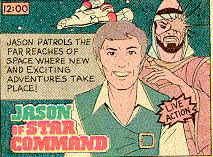 Dobson had a few roles before Jason of Star Command, and afterwards appeared mainly in daytime soap operas. In season two, Pratt is replaced by Tamara Dobson as the enigmatic and “powerful” Samantha, a refugee of Dragos’ war. Dobson was notable for playing Cleopatra Jones in two Blaxploitation films previous to Jason of Star Command and helps broaden the appeal of the show. 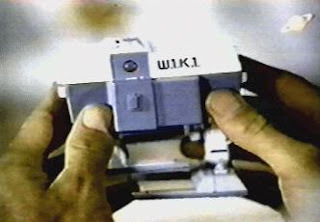 Wiki, Jason’s faithful micro-robot, is in every episode, and Peepo, the resident R2D2 clone from Space Academy, also turns up for six episodes in season two. 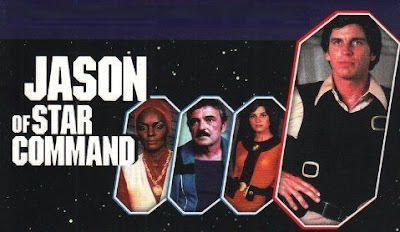 Sid Haig confirms in the documentary The Adventures of Jason of Star Command that the budget per episode was US$200,000 in 1978 (approximately US$773,454 in 2018), likely the highest ever for a live-action Saturday morning series. We can see evidence of this in the expanded range of models and special effects. Nevertheless, despite the popularity of the series, the high production costs limited how many episodes Filmation could commit too without it affecting other productions. Jason’s Starfire spacecraft in flight. Series creator and director Arthur Nadel provides a single unified vision for the series, establishing a continuity that would have been impossible to achieve with a contract director approach. 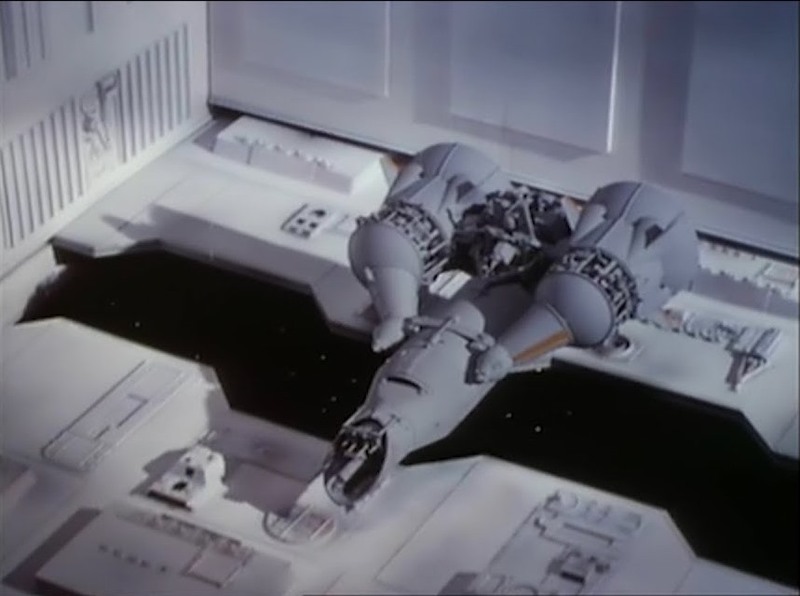 Chuck Cominsky, special effects supervisor for Space Academy, continued his work with Jason of Star Command, providing an added measure of continuity to the production. 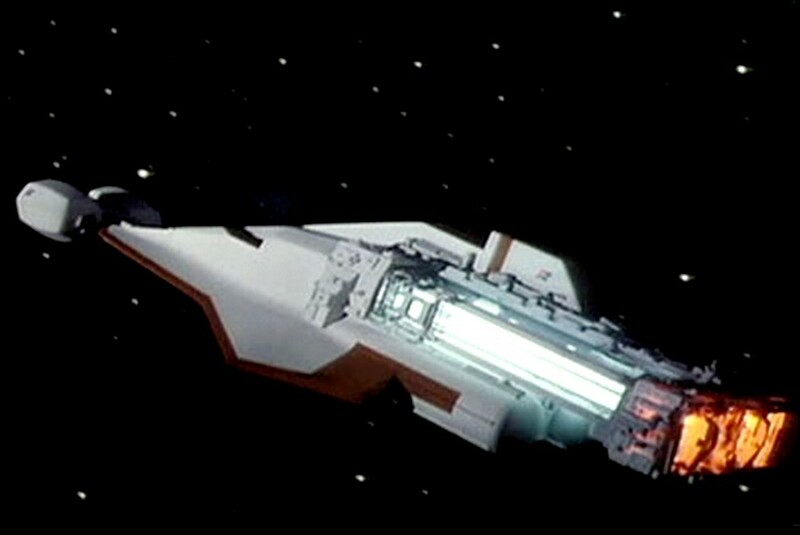 New personnel were added to the crew, including directors of photography who improved the optical effects design, stop-motion artists, and microcomputers, which gave the capability for repeat moves on spacecraft flight tracking shots, compositing effects, and coordinated in-camera mattes so spacecraft and star fields could move together, rather than having a static background. The line of spacecraft models was greatly expanded and the shots of planets and flybys have much the same quality as was being produced on Space: 1999 just a couple years previously. Nevertheless, despite the larger budget, Filmation still sought to cut corners in sometimes rather obvious ways, such as reusing background music composed for the company’s earlier Star Trek: The Animated Series, usually to underscore dramatic moments of crisis. 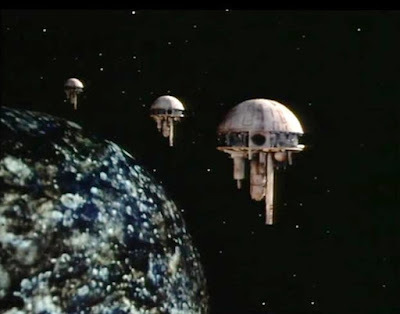 Star Command drone fighters race out to defend Space Academy. 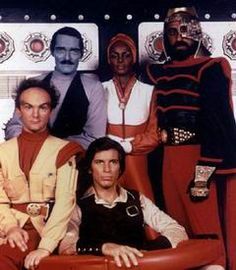 Season one debuted in the Fall 1978 and is comprised of sixteen 15-minute episodes, much in the same spirit of the Flash Gordon/Buck Rogers/Commando Cody serials with a cliff-hanger at the end of every chapter. The segments ran as part of Tarzan and the Super Seven, 10:30 a.m. to 12 Noon, opposite the 90-minute Scooby's All-Stars Laff-A-Lympics which started at 10 a.m. on ABC. On NBC, the competition included The Fantastic Four at 10:30 a.m. and The Kroft Supershow hosted by The Bay City Rollers at 11 a.m. Reruns of Space Academy followed Tarzan and the Super Seven at noon. Advertisement for the show from period promotional material. For season two in the Fall of 1979, Jason of Star Command produced twelve thirty-minute episodes that aired at 12:00 noon, and, much to my frustration, my local CBS affiliate WAST (later WNYT) Channel 13—Albany, usually preempted the show since stations could begin to cutaway at noon for local programming. Additionally, cable companies at the time had a “blackout policy,” which would blackout the programming of out-of-area stations if they were running the same show as a local station. This was to keep the ratings for local stations from losing share to out-of-market stations. Our local cable company, Capital Cablevision, offered WCBS, Channel 2 in New York City, which also ran Jason of Star Command at noon; however, that was blacked out by Capital Cablevision ostensibly to protect Channel 13 who didn’t run the show anyway since it cut away from the network at noon. This prevented me, and many other local fans, from seeing season two of Jason of Star Command until the 2007 DVD release. 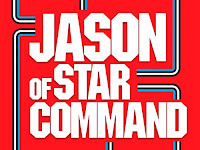 Jason of Star Command and its predecessor Space Academy are transitional series in the aftermath of Star Wars. Aspects of the cliff-hanger movie serials from the 1930s through the 1950s remain, but a stronger emphasis on, and a larger budget for, special effects ramped up the standard for children’s television programming. Members of the special effects crew went to work on Battle Beyond the Stars, E.T. The Extraterrestrial, Raiders of the Lost Ark, Star Trek: The Next Generation, as well as the current crop of films from the DC and Marvel Cinematic Universes. Jason holding his faithful micro-robot W.1.K.1. — aka Wiki. 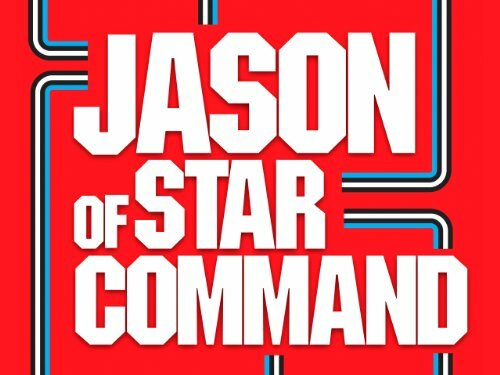 As noted in my article for Space Academy, the rights to Space Academy, and consequently Jason of Star Command, are somewhat undefined right now. Filmation folded in 1989 and the rights to both shows subsequently went to “Sleepy Kids,” a media company specializing in children’s programming that coincidently formed in 1989. Sleepy Kids was later renamed Entertainment Rights who licensed the series to BCI Eclipse for the 2007 DVD release. In 2008, BCI Eclipse went out of business as did Entertainment Rights in 2009. There remains a small fandom for both Jason of Star Command and Space Academy. Customized figures and models turn up from time to time, but they are scattered efforts usually by dedicated fans themselves. The shows are overshadowed by other sci-fi programs of the era, such as Space: 1999, Battlestar Galactica, and Buck Rogers in the 25th Century, not to mention Star Trek, Logan’s Run, and Star Wars. Nevertheless, Jason of Star Command and Space Academy remains excellent examples of sci-fi written specifically for children, features strong women, and different races, often in leadership positions. Not a bad way to raise the kids on a Saturday morning in that or any era. Descriptions by G. Jack Urso. Click on the links below to view the episodes on the Aeolus 13 Umbra Star Command Spaceport YouTube channel! Season One Cast (left to right): Commander Carnarvin, Jason, Capt. Davidoff, Prof. Parsafoot. Opening Credits and Closing Credits Themes. Commander Canarvin is abducted by aliens and rescued by Jason, who soon finds himself captured by the evil Dragos! While Jason is imprisoned by Dragos, back at Star Command the recently rescued Commander Canarvin isn’t acting like himself. At Star Command, Commander Canarvin is revealed to be a clone created by Dragos. Back at Dragos’ ship, Jason helps the real Commander Canarvin escape, though Jason remains a prisoner. 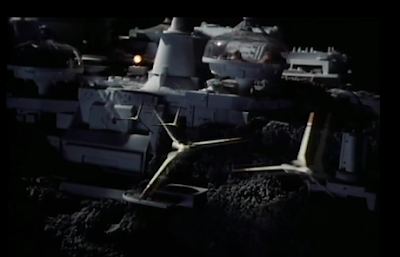 When Canarvin’s clone disables Space Academy’s shields, Dragos attacks! Meanwhile, Jason discovers his cellmate is beautiful princess. Dragos’ massive asteroid headquarters ship. Jason’s small helper robot Wiki helps rescue his master and the princess. 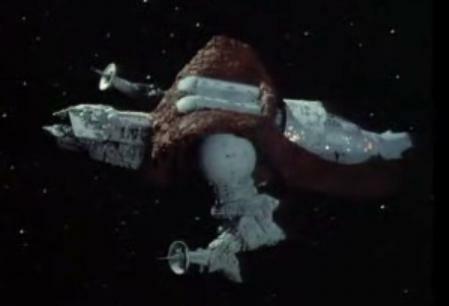 In order to stop Dragos from destroying the Space Academy asteroid, Jason launches his spacecraft at Dragos’ ship. Jason and Nicole protect the princess and are rescued by Professor Parsafoot and Wiki, but Dragos is on their trail! In order to save the princess Jason, Nicole, Professor Parsafoot, and Wiki draw off Dragos, but get stranded on the Planet of the Lost! On the planet called “Limbo of the Lost,” Jason, Nicole, Professor Parsafoot, and Wiki are captured by the legendary Captain Kidd! To repair his vessel, Jason needs Captain Kidd’s hoard of gold and silver, but ends up having to save Kidd himself! Professor Parsafoot repairs Jason’s ship and Captain Kidd agrees to join the fight against Dragos and Dragos ship is left adrift at the end of the episode. (Left to right): Jason, Capt. Nicole Davidoff, and Dragos. Reluctant companions Peepo and Wiki are captured while on patrol on a planet. Jason and Laura help rescue the wayward robots — but has Dragos reprogrammed Peepo? Jason and his Star Command crewmates go out looking for the missing robot Peepo, but are captured by the beautiful Queen of Kesh. Professor Parsafoot shrinks Jason down to help them escape from Kesh, but after stealing the queen’s spaceship, they soon find themselves her prisoners once again — and this time they’re headed to Dragos! Pre-flight prep in the A6 launching bay. Jason escapes Dragos — once again — while Dragos disables Space Academy’s guidance system and send them towards a space typhoon! Peepo is rescued, but no one knows that the robot has been reprogrammed. Space Academy is caught in the space typhoon, but survives due to the efforts by Jason and Commander Canarvin. Information from Peepo about Dragos’ crew inspires Jason and Nicole to sneak back aboard Dragos ship, but — big surprise — they are captured, yet again. Wow. Totally did not see that one coming. Dragos begins his attack on Space Academy, but Jason escapes to confront the evil space lord and manages to destroy Dragos’ massive spaceship. Season Two: Commander Stone in charge! Opening Credits and Closing Credits Titles. Dragos is back, a new commander for Star Command takes over, and Jason discovers a derelict spaceship with a woman in suspended animation. Also, Peepo from Space Academy joins the crew. A freeze ray puts the chill on Star Command. Vanessa, an ally of Dragos, tries to lure Jason to her side with promises of riches. Since he gets paid by Filmation, the offer is probably tempting . . .
One of Dragos’ minions working in disguise tries to capture Professor Parsafoot. An ancient artifact, the Tantalusian Power Disk, is key to helping Professor Parsafoot save Jason. Dragos sends Jason and the Commander into limbo. Can a Tantalusian ghost help them escape? A wandering space pilot (secretly working for Dragos) needs help repairing his ship, and a mysterious device in the ship’s hold sends Jason, Wiki, Samantha, and Professor Parsafoot into another dimension! Still caught in another dimension, Jason must work with an alien to escape. Dragos’ drone fighters come in for the kill! Samantha rescues a boy in a lost spacecraft and a number of mishaps occur on Space Command. Are the two related and is Dragos responsible? Uh, yeah . . . duh! A little girl named Heidi and her doll are recovered from a crashed ship. Dragos and his minions are once again after Jason. Heidi’s doll contains secrets that both Star Command and Dragos want. The Commander is captured by Dragos to lure Jason to rescue him, but Jason figures out a way to rid themselves of Dragos. A behind-the scenes look at the series with interviews with cast and crew. Dragos’ alien allies stand by to lend support. How could I have forgotten this gem? OMG I use to have some of the toys, The little Wiki was a wind up... well just like the real prop lol. grate find!